In continuation with our topic from part 1, without further adieu, I give you the next set of secrets useful in guest blog posting. First impressions count when making a blog post, and making a good impression is often dependent on the title of your post. When pitching your guest blog post, you must have a catchy headline that makes people want to click on the post and read the rest of the article. Many site owners will actually use the title as the sole basis for accepting or rejecting a guest blog post. You might only have one chance at making a good impression, so make it count! I always hear of people starting off by targeting just the high-profile bloggers, most of whom are recognized authorities in a niche, or host blogs with high rankings. Although you do want to connect with these bloggers eventually, don’t underestimate the value of smaller blogs at the start of your career. Posting in such blogs will help you learn the ropes of guest blog posting and are great for building your portfolio. Most established bloggers won’t even consider hosting your guest blog post unless you have a respectable portfolio so get started with a few small blogs first! 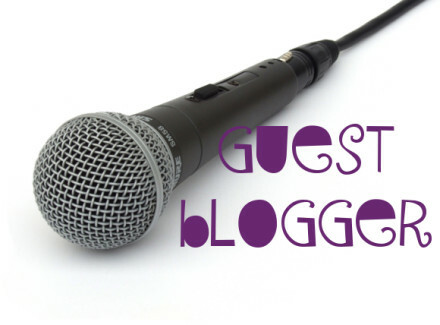 Guest blog posts by themselves can be effective, but you really need to go beyond that. Guest blog posts alone won’t increase traffic to your site, raise your visitor count, or add to your sales. Of course, guest blog posts can help you build traffic, establish backlinks, and possibly even attract visitors to your blog. Just like everything else however, it would be more beneficial to adopt a balanced approach. It is when you implement guest blog posts as part of your overall plan of attack that you will see its full potential. When it comes to guest blog posts, the importance of content simply cannot be overestimated. You could have a quick pitch, but if your content is worth reading, many blogs will be happy to post it. Of course, coming up with good content is an ongoing process, and you will have to constantly figure out what sticks out and attracts readers. Don’t neglect the benefits of outsourcing your writing either. In some cases, this might help you generate new content or put a fresh spin on a familiar topic. I would say that 95% of the time, searching for someone online and getting in touch with them out of the blue won’t get you a response. “Cold submitting” to relevant sites is a common mistake that many newbies make, and it often leads to rejection and disappointment. Don’t let anyone tell you that guest blog posting is simple and doesn’t take much work. One oft-neglected aspect of guest blogging is that the harder you work, the more likely you are to reap the benefits. Sure it is easy enough to post in a few small blogs at the start, but things quickly become more work intensive and time consuming when you work your way up to the mid-level blogs. This is when the demands of maintaining standards and doing research start to require more and more time and effort. Not to scare you away, but guest blogging is hard work and it will really take your all to make it work. If you try guest blog posting only once or twice, you probably won’t see any significant results in terms of increased traffic, more sales, or even a higher ranking. The key to success is being consistent and formulating a long-term strategy. Start out by doing 2 or 3 guest blog posts per month and slowly increase your output if you feel you have the hang of it. The most important is sticking with it for the long haul. An increasingly-common–and yet totally bogus–claim is that guest blog posts guarantee results. The fact of the matter is that there is no foolproof strategy that will “guarantee” you specific results. Sure there are absolutes and tactics that are clearly better than others, but none of them will get you guaranteed results. That’s all for today folks but you can bet your rest assured that part 3 will be on its way soon enough. Mikhail Tuknov is a president of Infatex.com, a full service Internet marketing and Search Engine Optimization (SEO) company offering results-driven services and exceptional customer support.